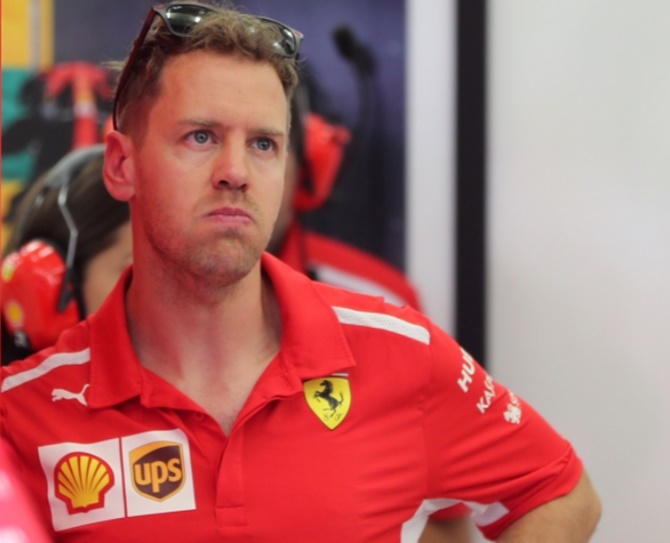 IMAGE: Ferrari's Sebastian Vettel during practice. Photograph: Ahmed Jadallah/Reuters. Formula One championship leader Sebastian Vettel put Ferrari on pole position for Sunday's Bahrain Grand Prix with team mate Kimi Raikkonen alongside on the front row. Reigning world champion Lewis Hamilton qualified fourth for Mercedes but has a five place grid penalty due to an unscheduled gearbox change.